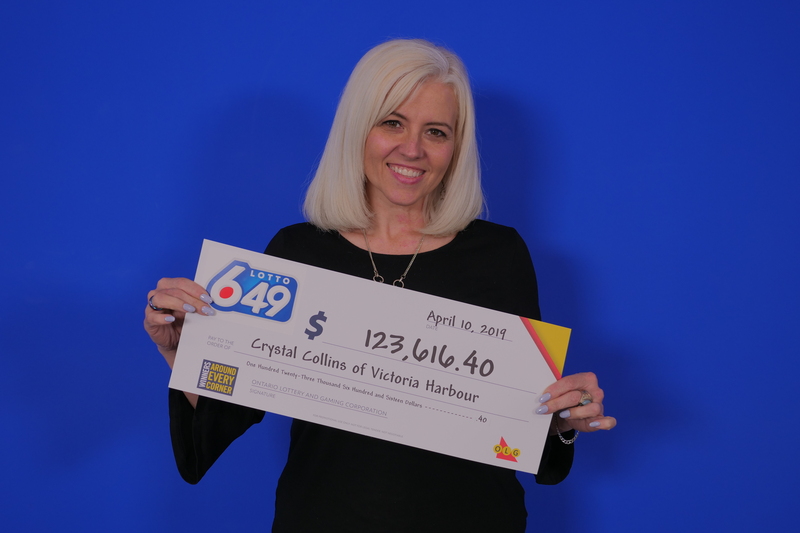 Crystal Collins of Victoria Harbour won the $123,616.40 prize in the April 6 Lotto 6/49 draw, according to a news release from the Ontario Lottery and Gaming Corporation (OLG) on April 15. Collins is a 49-year-old district coordinator and a mother of two. She plans on using the money to pay bills, upgrade her car to a truck, help her kids, install a new deck and go to Nashville on vacation. The winning ticket was purchased at Guardian Pharmacy on King Street in Midland. Since the game launched in June 1982, Ontario Lotto 6/49 players have won over $12.5 billion in prizes, including 1,370 jackpot wins and 273 Guaranteed $1 Million Prize draws.